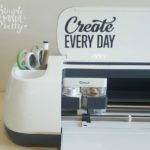 I’m all about saving some money and DIYing gifts to give to others, including my kiddos! Instead of spending a ton of money on Easter candy or chocolate to fill their Easter baskets, I decided to make a few crafty gifts that I knew they would love (and share some of the awesome ideas I found with you too!). Some of these are great to give adults too! Check out these 40 DIY Dollar Store Easter Basket Ideas so you can save some money while giving a unique Easter gift this year! If you’ve ever wondered what to put inside an Easter basket, there are plenty of ideas in this post (40 total ideas) and all of the supplies can be found at the Dollar Store! It’s amazing what you can still buy for a dollar these days! 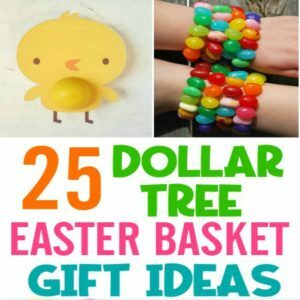 UPDATE: This post has been so popular that I wrote another one with 25 MORE Easter Basket Gift Ideas from the Dollar Tree! 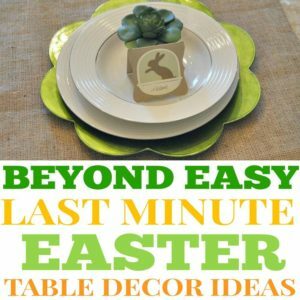 Be sure to check out 25 MORE Easter Basket Gift Ideas From The Dollar Tree after reading this post! Mason jar gifts are all-the-rage and the best part about giving a mason jar gift is the wrapping paper (the jar) is reusable! Add any chocolate or candy to these DIY bunny treat mars jars from Ideal Home. 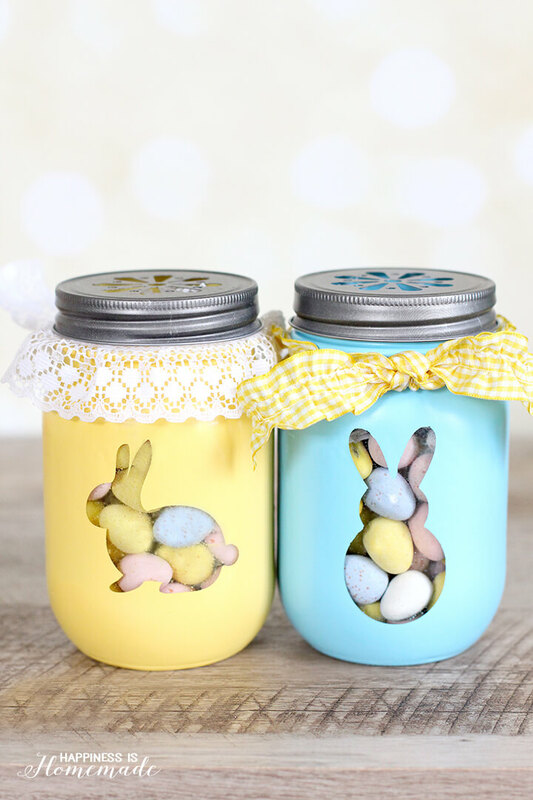 These DIY bunny treat mason jars are so “sweet” filled with candy but you can also fill them with small toys or school supplies from the Dollar Store! I love how she painted them different colors and used a different bunny on the lid of each jar. If you want to create these mason jars with a farmhouse style and neutral color scheme, you could paint the lids a soft green, light teal, and baby pink. Stack homemade treats inside (like cookies, brownies or muffins) and give to a neighbor or teacher! –>>Find the full tutorial to make the DIY Bunny Treat Jars here. These painted bunny treat jars from Happiness is Homemade is a simple craft that can be made in less than an hour. I made similarly painted treat jars for Valentine’s Day here and I used them in my Valentine’s day home decor for years to come. Add fabric and a cute lid (these are the lids she used here) with a fun treat inside. Add nuts, dried fruit, homemade goodies or a small gift inside. –>>Find the full tutorial to make the Painted Bunny Jars here. Thi is such a cute way to give someone a classic chocolate Easter bunny! Place a chocolate bunny in a jar with candy grass and jelly beans or candy eggs. 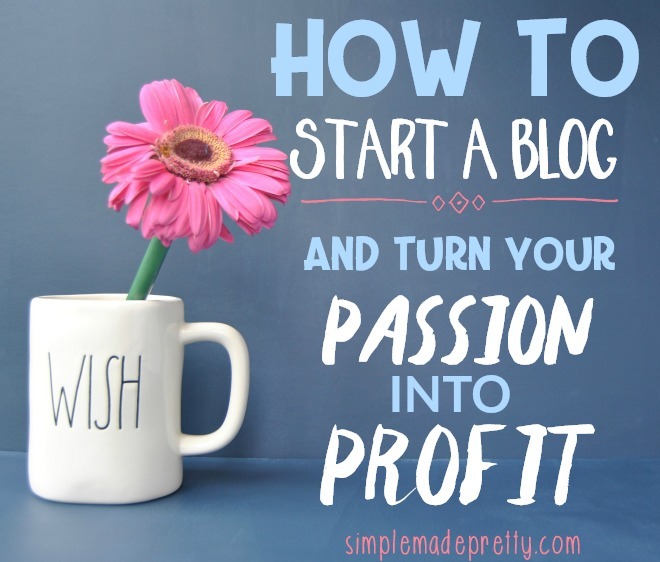 Finish the jar with a ribbon! See how to make this craft from Crafty Morning here. 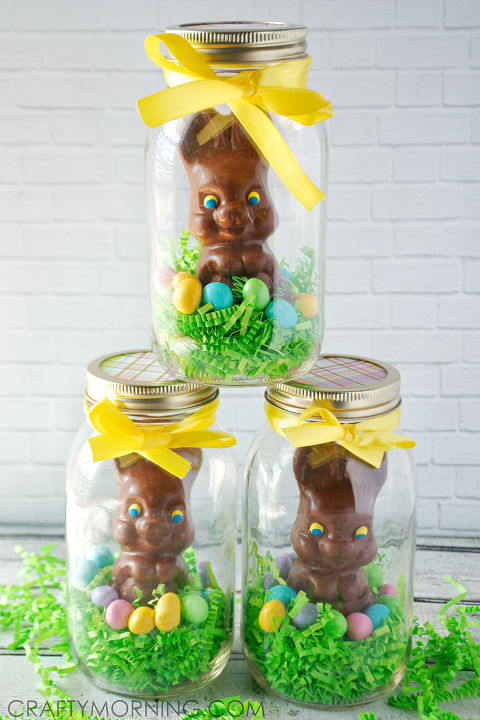 –>>Find the full tutorial to make the Chocolate Bunny Jars here. 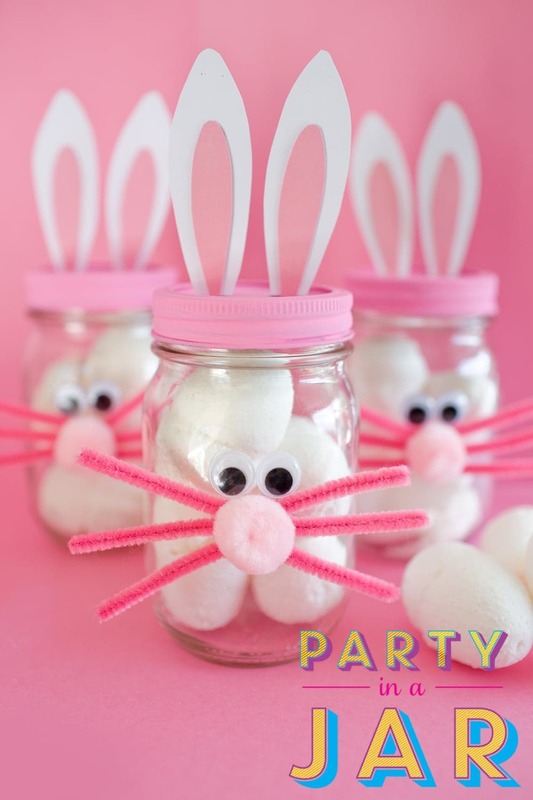 These “party in a jar” bunnies are super cute from Pizzazzerie (check out her book with more jar ideas!) She put marshmallow eggs inside the jar but you can put other treats and healthy snacks wrapped in pink tissue paper. Paint the lids pink, glue on some paper ears, and make a cute bunny face using pipe cleaners and wiggly eyes from the Dollar Store! –>>Find the full tutorial to make the Party Bunny Jars here. One of my favorite items that I received in my Easter basket as a kid was candy! Who doesn’t love a sweet gift from the Easter Bunny? Chocolate eggs were the best but these other edible Easter basket gifts ideas from the Dollar Store will inspire you to get creative with your presentation of treats! 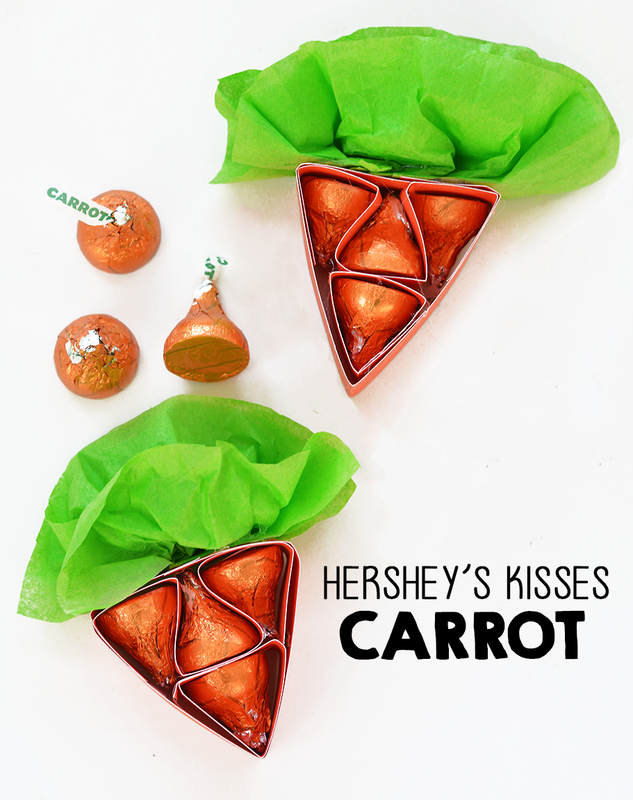 If you want to give chocolate Hershey kisses in Easter baskets, try making these easy Hershey Kisses carrot Easter treats from I Heart Arts and Crafts. 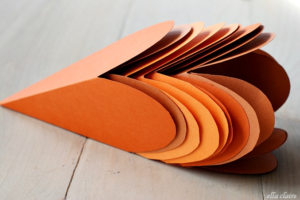 Just add green tissue paper and folded orange cardstock to make this cute gift. –>>Find the full tutorial to make the Hershey Kisses Carrots here. I love cute paper treat bags. They are so easy to make a quick gift by adding some ribbon. Make these Easter bunny treat bags from Today’s Creative Life personalized with a bunny cut-out and ribbon. 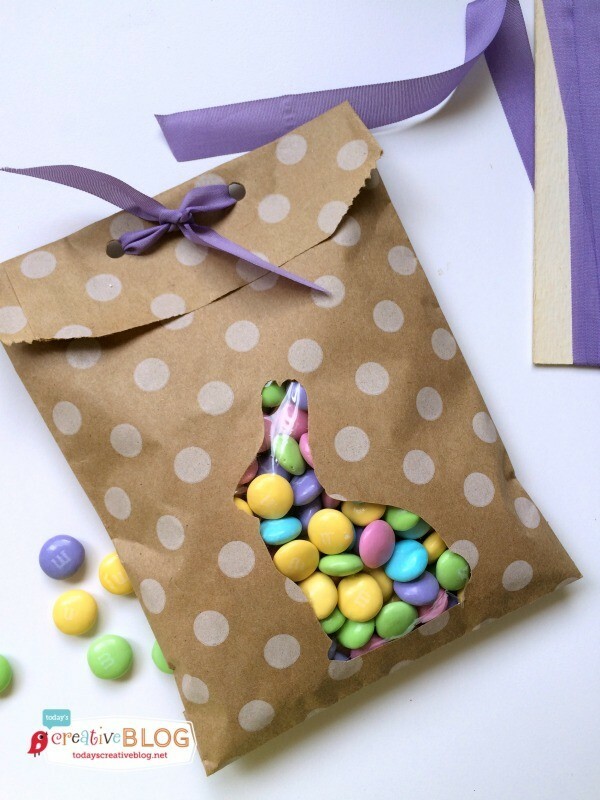 –>>Find the full tutorial to make the Easter Bunny Treat Bags here. 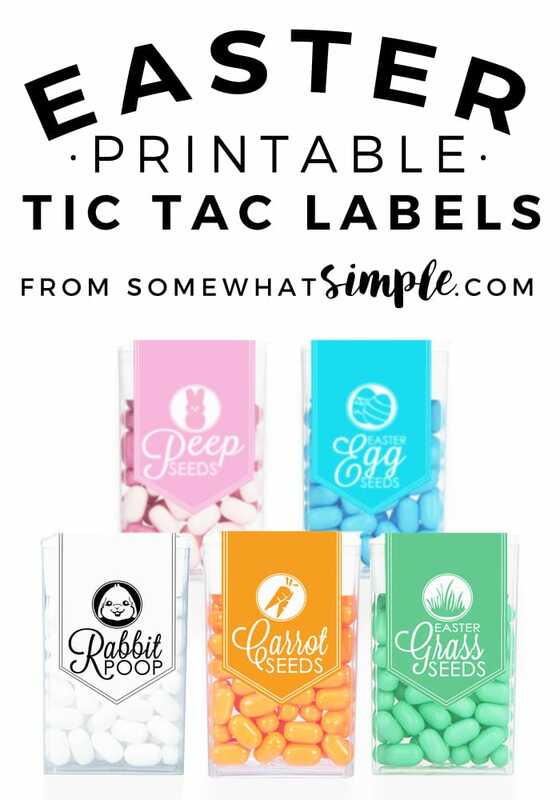 Add some cute Easter labels to tic tacs from Somewhat Simple for an easter Easter basket gift idea. –>>Find the full tutorial to make the Easter Tic Tacs here. 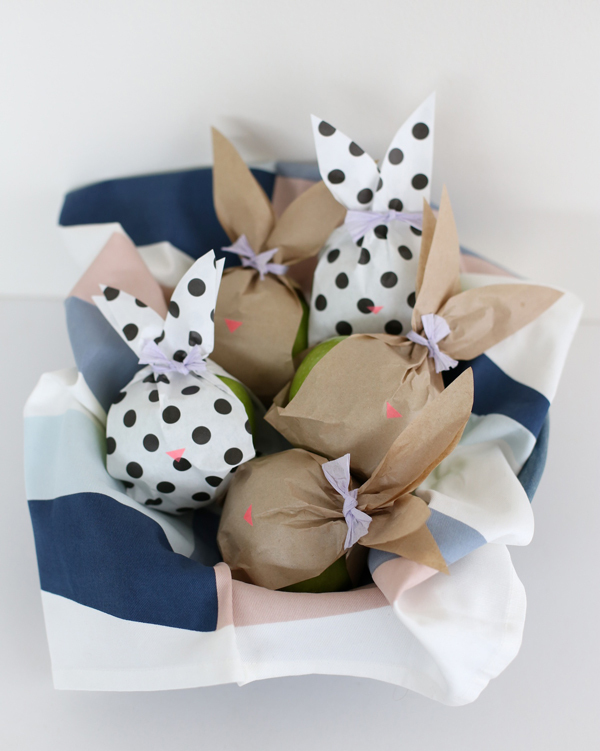 These Bunny Fruit bags are so simple to make, all you need is some paper bags (patterned or colorful bags), scissors, twist ties or ribbon. Add your favorite fruit or veggies (apples, organges, lemons, limes, avocados & more!). Give healthy gifts with these creative paper fruit bags from A Subtle Revelry. 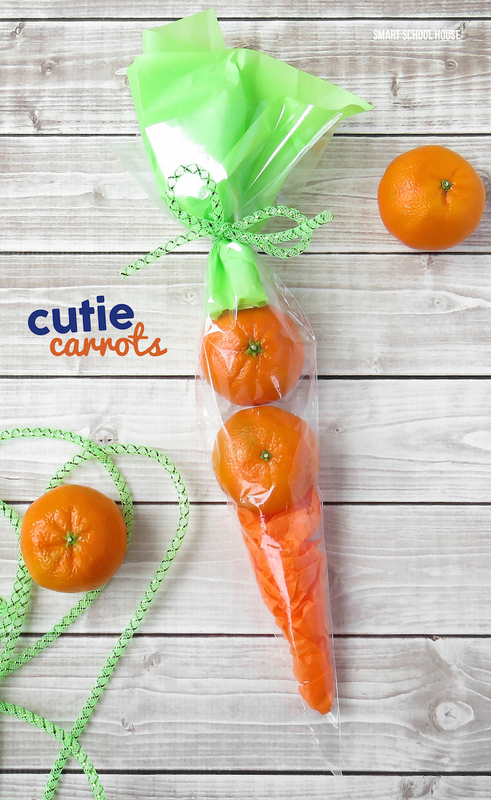 This healthy treat uses cuties to make these cutie carrot treat bags from Smart School House. You just need cellophane cone treat bags and cutie oranges to make this healthy gift! –>>Find the full tutorial to make the Cutie Carrots here. Bake some cookies and turn them into Easter basket gifts like Doodle Crafts! Wrap each cookie individually in cellophane and glue on Bunny ears and a nose for a simple, sweet gift. –>>Find the full tutorial to make the Bunny Cookie Treat Bags here. My kids love bubble gum, especially double bubble! 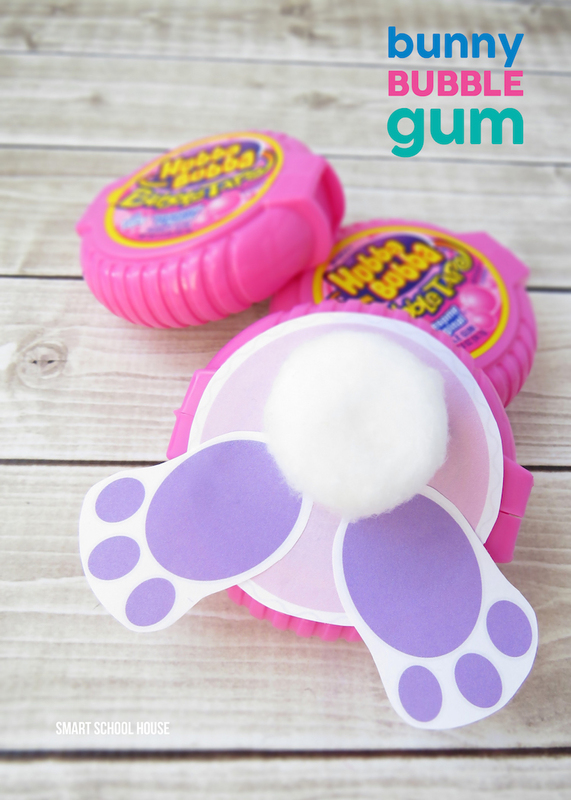 This bunny bubble gum gift can be made in 5 minutes and under $5 from Smart Schoolhouse. Glue on a pom-pom bunny tail to make this fun DIY Easter basket idea. –>>Find the full tutorial to make the Bunny Bubble Gum here. Who wouldn’t love receiving these strawberry “Easter” eggs from Crafty Morning? 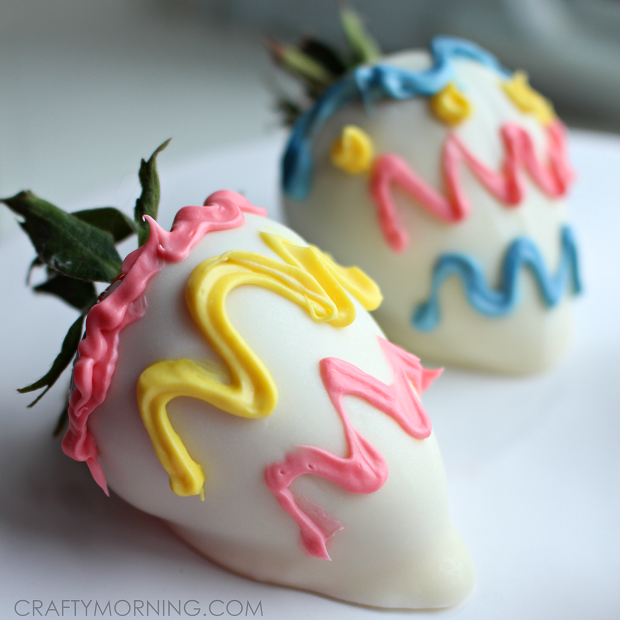 She decorated her strawberries to look like Easter eggs after dipping them in white chocolate… genius! –>>Find the full tutorial to make the Strawberry Easter Egss here. Seriously, all kids (and even some adults) love goldfish crackers (you can’t go wrong with this Easter gift idea)! Make these goldfish carrot treat bags using cellophane cone bags and Goldfish crackers from Clean and Scentsible. –>>Find the full tutorial to make the Goldfish Carrot Treat Bags here. If your kids don’t like goldfish, maybe they like another popular orange snack…Cheetos 🙂 Make these Cheeto-filed carrots from DIY Craft Projects using cellophane cone treat bags. 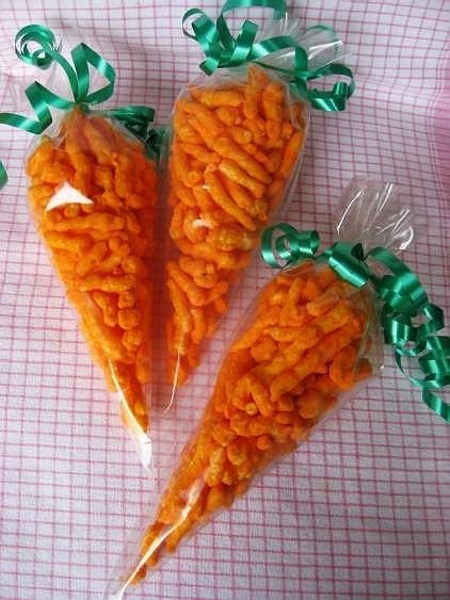 –>>Find the full tutorial to make the Cheeto-Carrot Treat Bags here. No-sew projects are the best! This no-sew sock bunny also doubles as a boo-boo doll since it’s filled with rice, you can heat it in the microwave and use as an instant heat pack! Make a no-sew sock bunny from Ann’s Entitled Life. –>>Find the full tutorial to make the No-Sew Sock Bunny here. Felt is a very inexpensive fabric but it also very durable to use for crafting! Very similar to craft foam, you can get several sheets for under $1.00. These felt bunny treat bags are made with a few simple stitches and candy inside. Make a felt bunny treat bag from Skip to My Lou. –>>Find the full tutorial to make the Felt Bunny Treat Bag here. 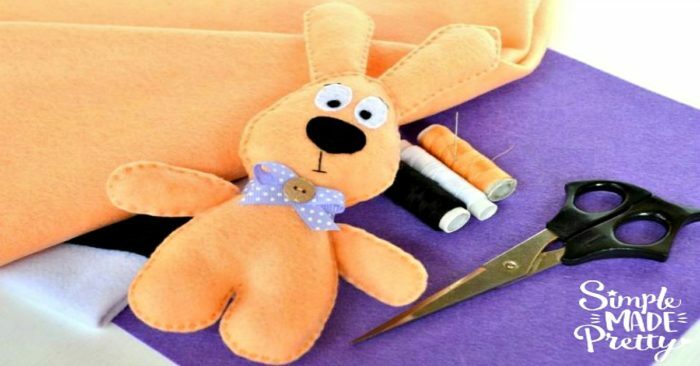 If you want to give non-candy gifts or something for the little artist, this felt carrot pencil case is an easy beginner sewing craft. 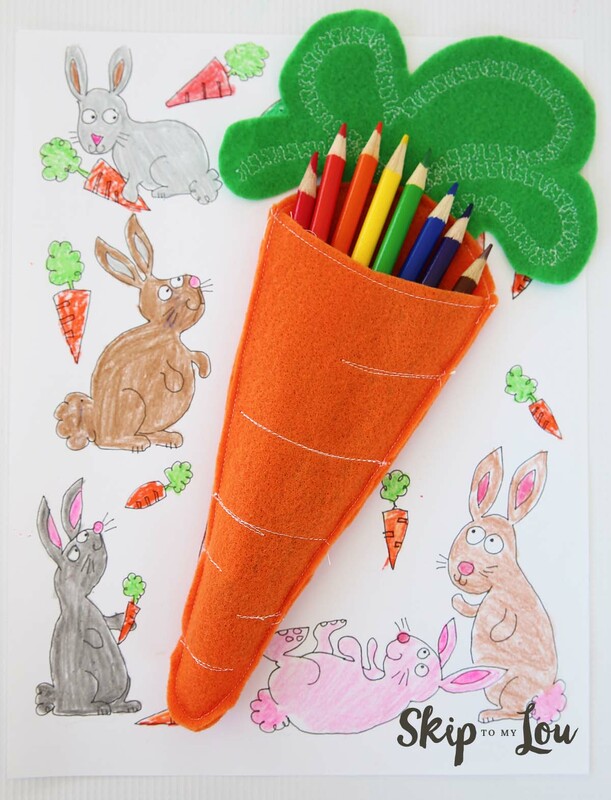 Make these felt carrot pencil holders from Skip to My Lou. –>>Find the full tutorial to make the Felt Carrot Pencil Holder here. Make soft bunnies for your kids from Sparkles of Sunshine I made these a few years back using brown felt and my kids still love them! Stuff them with filler, buckwheat, lavender, and other materials that smell good and create a mini comfort buddy for your little one. 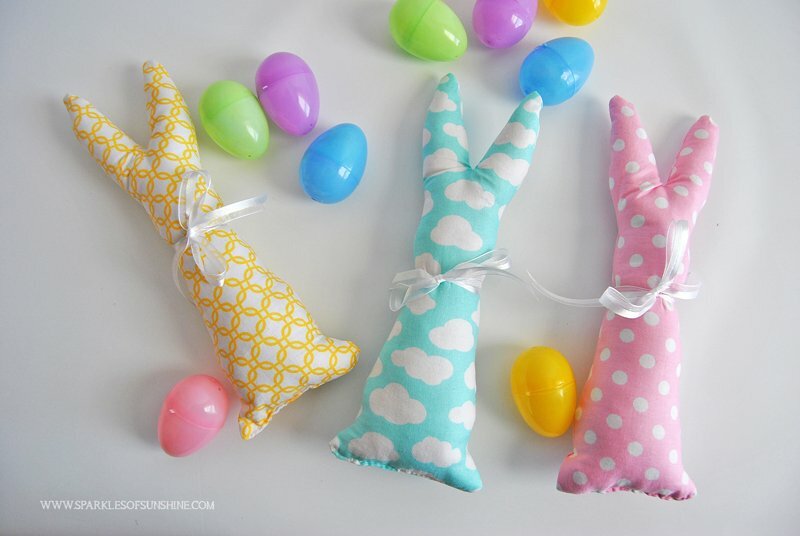 –>>Find the full tutorial to make the Soft Fabric Bunnies here. How cute are the lollipops in these felt eggs? These felt treat pouches from Raising Whasians can be filled with just about any treat but she added some wiggle eyes to the pops to look like peeps. 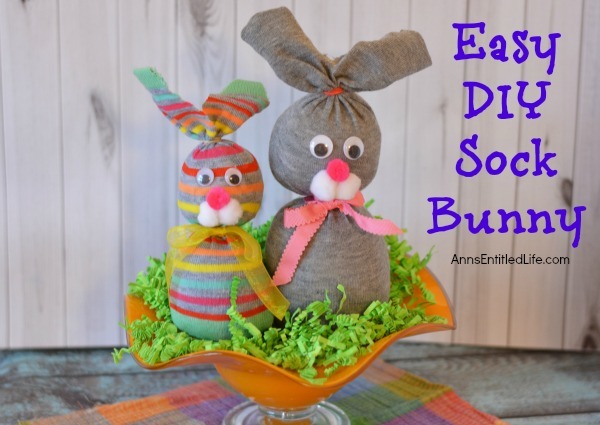 A few simple stitches around these felt eggs and some embellishments is all you need to make this easy Dollar Store Easter craft. –>>Find the full tutorial to make the Felt Treat Pouches here. This little felt sewn Easter bunny from Simple Made Pretty is too cute for words. My kids would love finding this in their Easter Baskets. 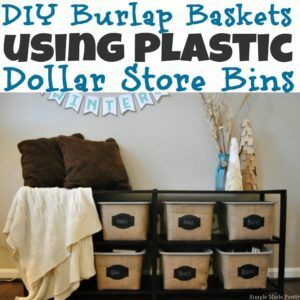 Use materials found at the Dollar Store and make this fun project! –>>Find the full tutorial to make the Felt Easter Bunny here. I love making sachets using dried chamomile, dried lavender, and dried roses. You can create sachets in any shape but these little bunnies are perfect for Easter. 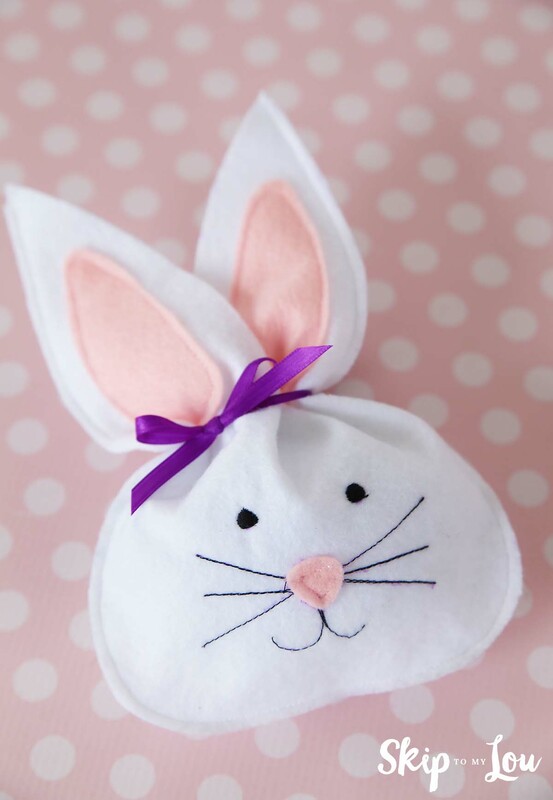 Make these easy bunny sachets from Craft Passion. –>>Find the full tutorial to make the Bunny Sachets here. 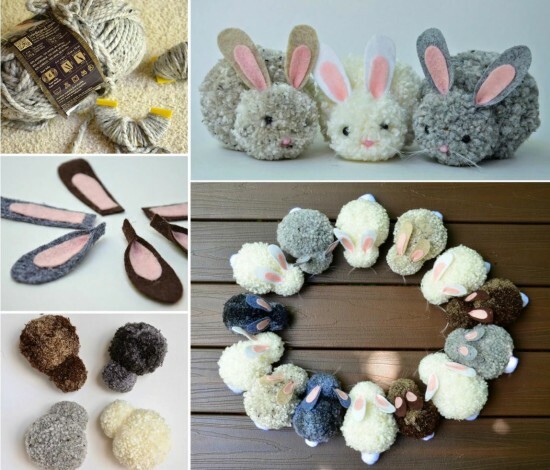 Pom-Pom animals are fun to make and these pom-pom bunnies from Wonderful DIY look super cute! Just add some felt cut ears, wiggle eyes and a pom-pom nose to yarn pom-poms. You can use a pom-pom maker or use your fingers to wrap yarn to create a DIY pom-pom. –>>Find the full tutorial to make the Pom-Pom Bunnies here. Kids love playing with small objects and finger puppets let them use their imagination. 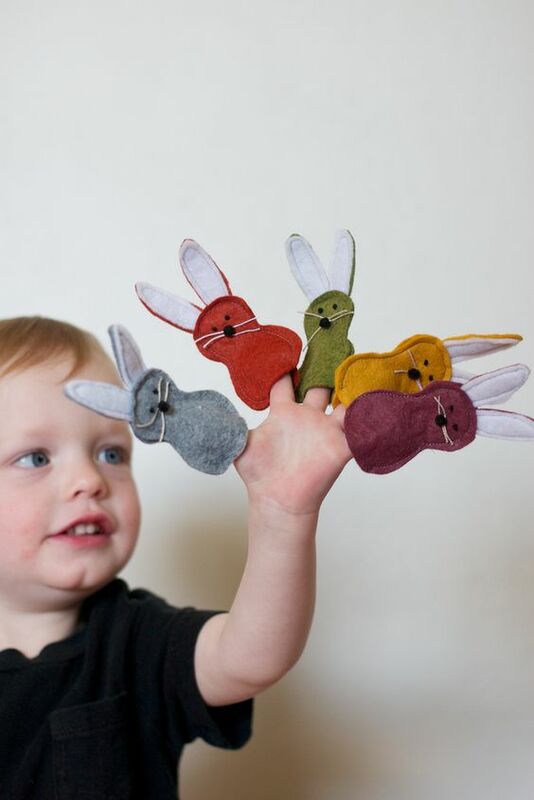 These baby bunny finger puppets are made using the same pattern but different colors. 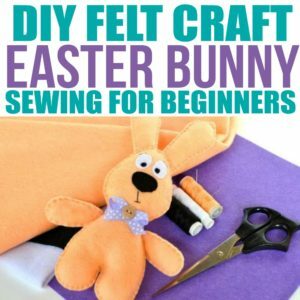 Use felt to make some Easter bunny finger puppet gifts. This cute felt Easter egg crayon holder from Skip to My Lou is a simple and small gift that can be made very quickly with a few stitches. 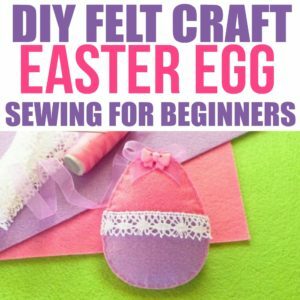 Cut various shapes in felt and rickrack or ribbon and glue to a felt egg. 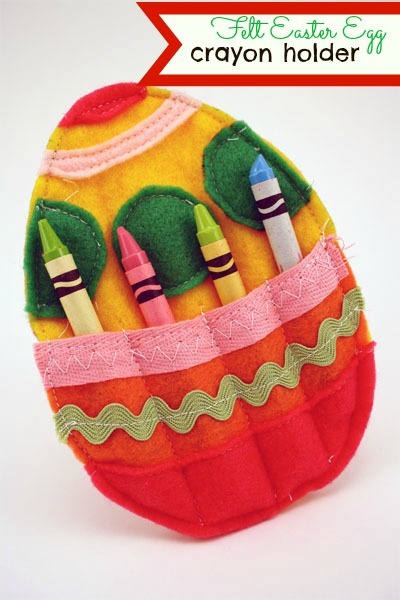 –>>Find the full tutorial to make the Felt Easter Egg Crayon Holder here. These crafty items are so small and cute, they can be assembled in 5 minutes or less! You probably already have some of the supplies readily available in your home (clothespins, sandwich bags, etc). Your little ones will be so happy to help you make some of these crafty Easter basket items too! 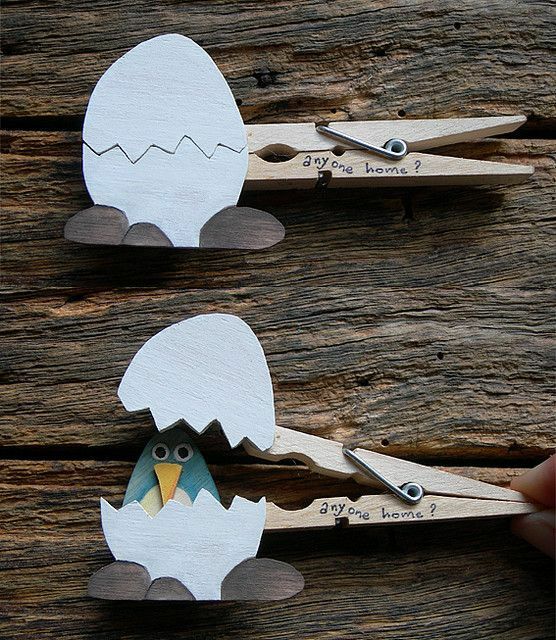 My little ones would love playing with this peek-a-boo clothespin from A Few Shortcuts. I like how she wrote a cute message )”anyone home?”) on the side of the clothespin. This Easter craft is so simple and easy to make. –>>Find the full tutorial to make the Peek-A-Boo Clothespin here. 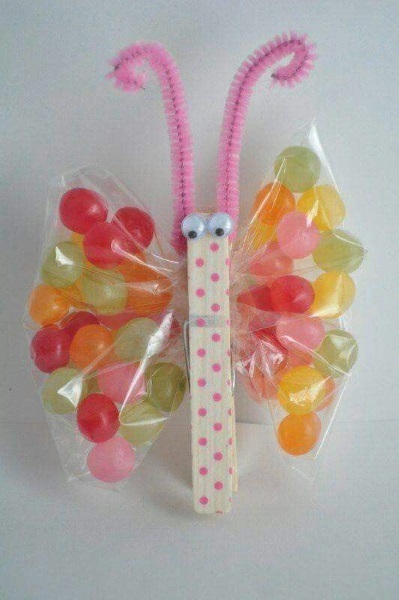 This Easter Butterfly Treat bag is a simple clothespin craft using pipe cleaners, clothespins, and snack bags. Fill the snack bag with jelly beans and decorate the clothespin with a fun design and wiggle eyes. Make these Easter butterfly treats (source unknown) in 5-minutes or less! Sometimes a cute favor box is all you need to present a simple treat or small gift. Make these Paper Carrot Favor Boxes from Elle Claire Inspired. –>>Find the full tutorial to make the Paper Carrot Favor Boxes here. This colorful playdough will brighten any Easter basket! The playdough is stored in plastic Easter eggs as a fun display! Make Easter Egg Playdough and free printable mats from Modern Parents Messy Kids. –>>Find the full tutorial to make the Easter Egg Playdough here. Easter is around the time when the weather starts warming up and sidewalk chalk is a must-have item for outdoor play. 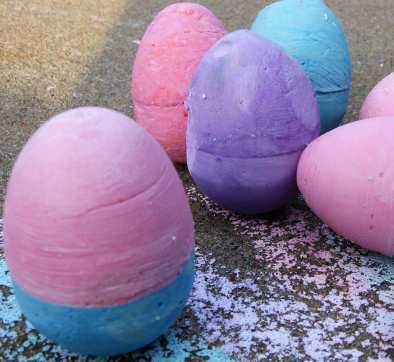 Make Easter Egg Sidewalk chalk from Skip to My Lou. –>>Find the full tutorial to make the Easter Egg Sidewalk Chalk here. Whether you want to spoil your girlfriends, your tween, or yourself… these Dollar Store DIY Bath and Body Easter Basket Gifts are fun and unique! 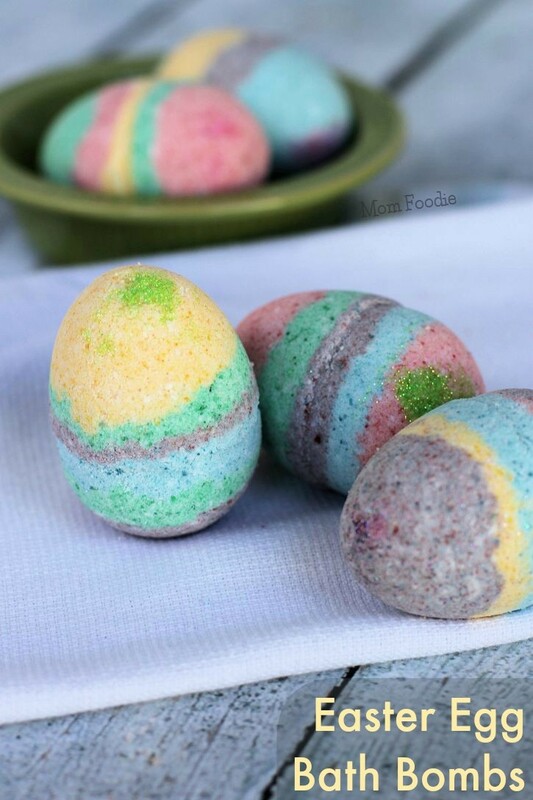 Give these Easter egg bath bombs from Mom Foodie to someone that loves pampering! Create your own Spring scents using essential oils. –>>Find the full tutorial to make the Easter Egg Bath Bombs here. 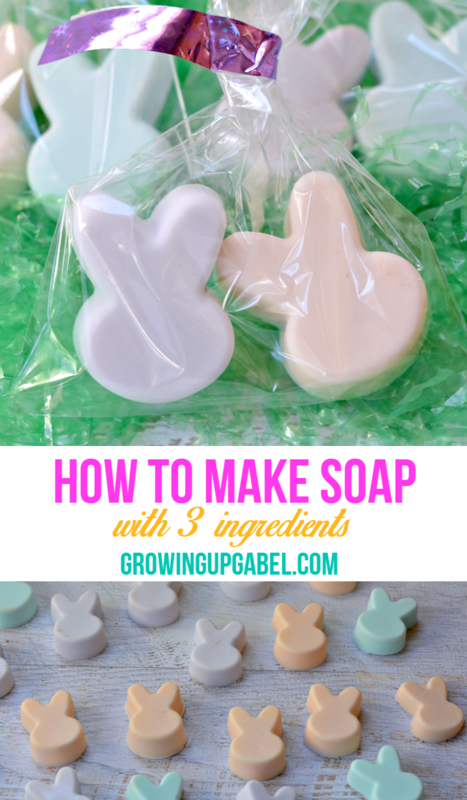 Make your own soap using bunny molds! Give this gift to someone who loves handmade soap and create your own scents using essential oils. Learn how to DIY bunny soap molds from Growing up Gabel. –>>Find the full tutorial to make the Bunny Soap Molds here. –>>Find the full tutorial to make the EOS Bunny Cards here. 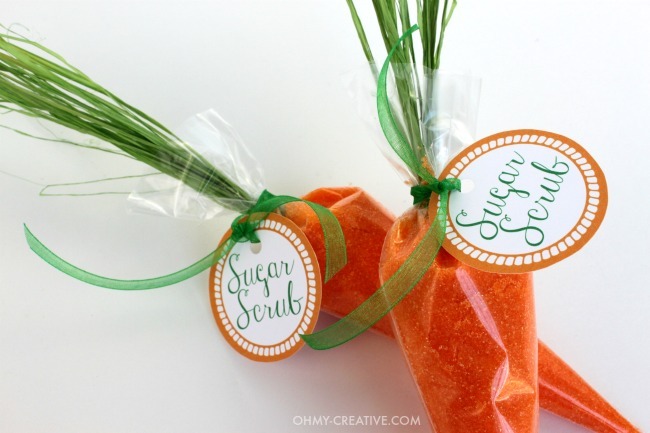 Make some sugar scrub and store it in a cellophane cone bag to make a “carrot.” Try this DIY carrot sugar scrub from Oh My Creative. –>>Find the full tutorial to make the Carrot Sugar Scrub here. Give your bestie or tween her favorite color nail polish and turn the bottle into baby bunnies! Make nail polish bunnies from Beth-a-Palooza. –>>Find the full tutorial to make the Bunny Nail Polish here. Decorating eggs during Easter is a fun activity and there are so many ways you can decorate eggs! Think outside the box and decorate eggs and hide them in Easter baskets as cute filler or gifts! These googly eyes Easter eggs from GodFather Style have to be the easiest Easter eggs I’ve seen! Dye them in bright colors to make your own version. 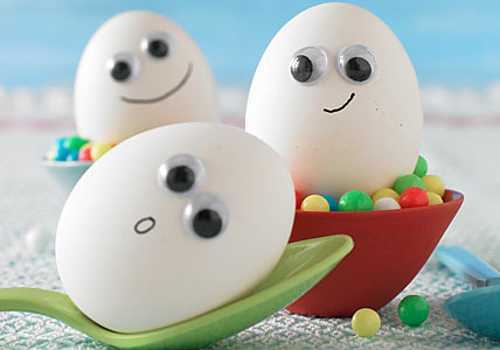 –>>Find the full tutorial to make the Googly Eye Easter Eggs here. 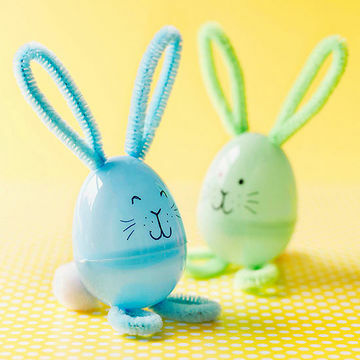 Use a marker and pipe cleaners to make these cute bunny eggs. DIY plastic eggs into bunnies from Parents.com. –>>Find the full tutorial to make the Plastic Bunny Eggs here. These Rae Dunn inspired Easter eggs are easy to make if you have a steady hand and a sharpie marker. Simple Made Pretty used her Cricut machine to make the decal letters. 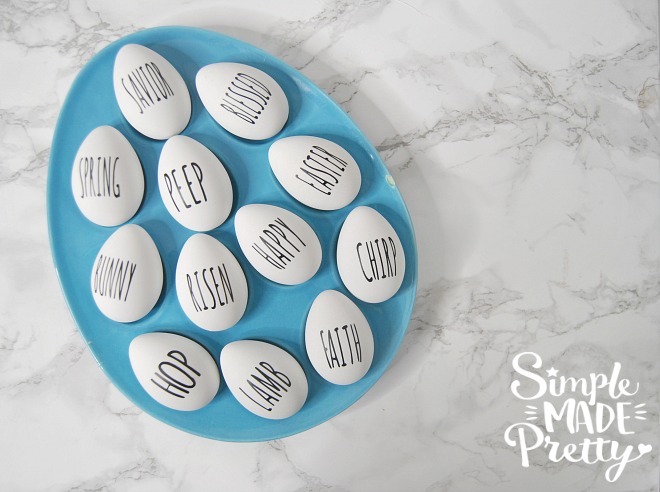 Just write your favorite phrases and Easter words on white craft eggs. 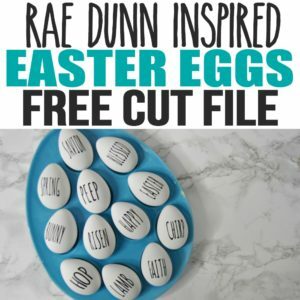 –>>Find the full tutorial to make the Rae Dunn Easter Eggs here. Use this flower pot to give gardening them a gift basket or just add simple Easter treats to the pot. Make a Bunny flower pot and use as an Easter Basket from Joanne Fabrics. –>>Find the full tutorial to make the Bunny Flower Pot here. 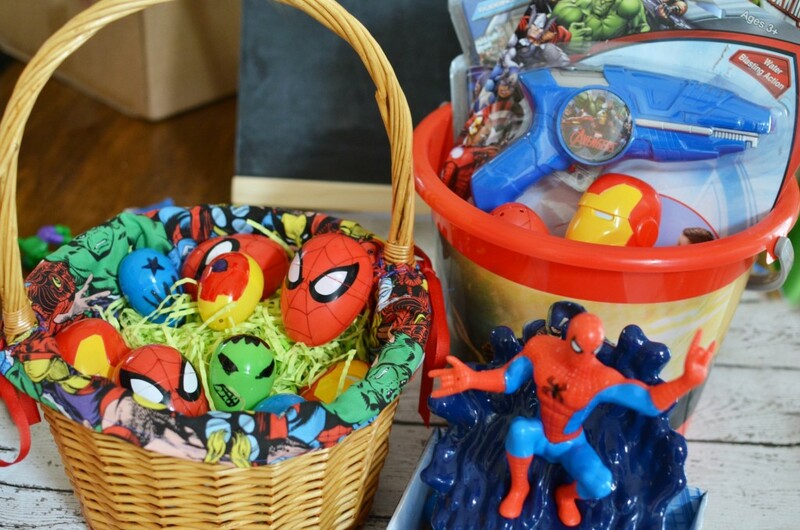 Add your little one’s favorite superhero or cartoon character fabric to any basket like Eclectic Mom Sense to personalize the basket and make it more fun! You can find Fat Quarter fabrics for $0.97 at Walmart! –>>Find the full tutorial to make a Fabric Covered Basket here. 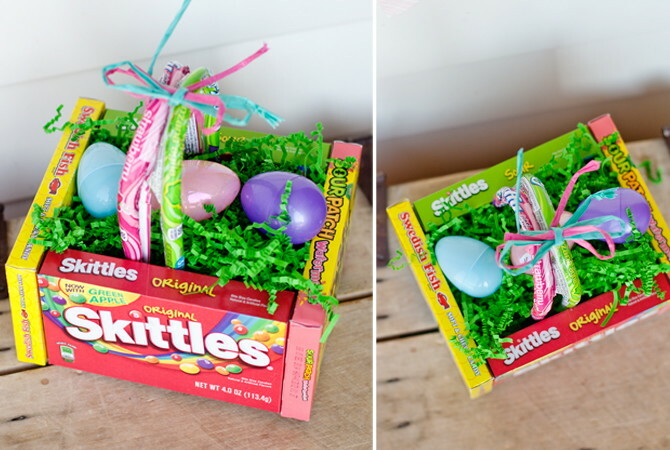 Skip the basket and use cadny to make your own “basket.” Make a basket out of candy boxes like the Krazy Coupon Lady. –>>Find the full tutorial to make the Candy Easter Basket here. 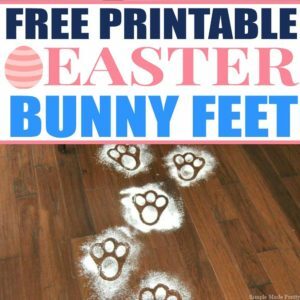 I hope this post gave you plenty of Easter DIY gift ideas. Save some money this Easter and have fun trying some of these creative Dollar Store Easter basket ideas children, toddlers, tweens, and adults! 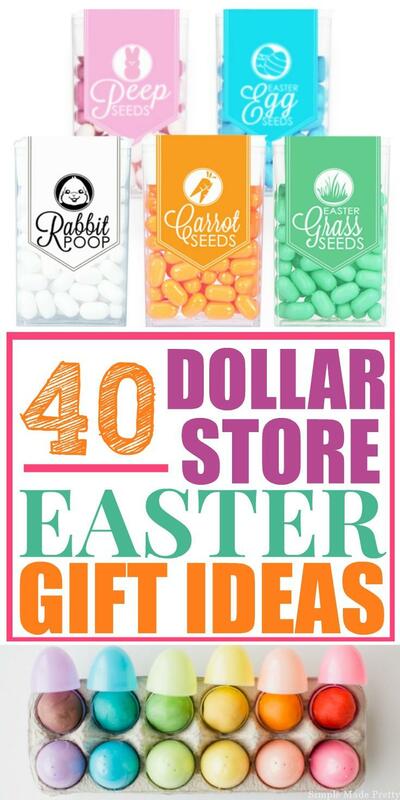 All of these Dollar Store Easter crafts tutorial links are included in this post with the full supply list needed. These are creative Easter basket ideas and most are simple Easter basket ideas and #5minutecrafts. 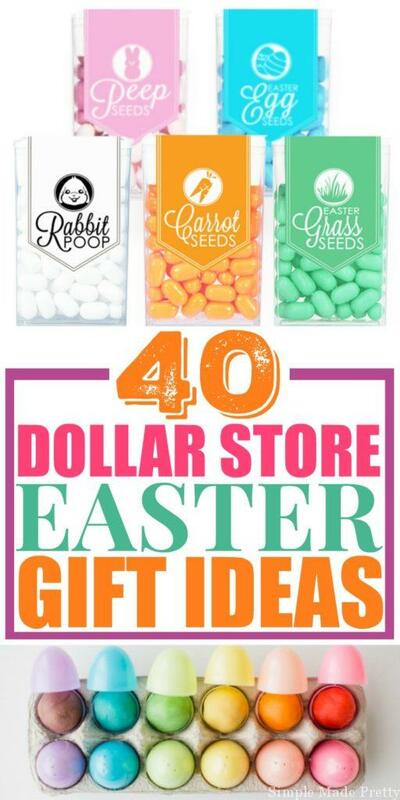 Be sure to check out this post with 25 MORE Easter Basket Gift Ideas From The Dollar Tree!